We all have soundtracks to our lives. 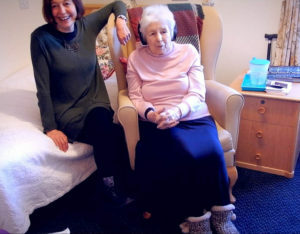 We want to enable people affected by dementia to enjoy their life soundtrack through easy-to-access personalised music that improves their well-being and that of those closest to them. There is growing evidence that music, particularly personalised music, can be calming and/or stimulating for people living with dementia. 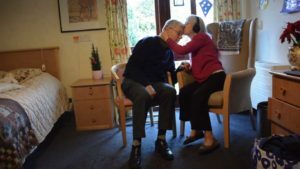 Personalised music can recreate the ‘common ground’ stolen from their relationships, improving their well-being and that of their family, friends and carers, improving their care and enhancing of their relationships. Our pilot studies confirm this, (see our video at www.youtube.com/watch?v=9KTgAs1sKHs) and there is a growing anecdotal evidence base for the role personalised music can play in improving the well-being of people living with dementia. 1. Is there an optimum length for a song, in order to observe an emotional response? 2. Is there a particular time of the day when music listening has a better effect? 3. Does a specific type of music help in certain moods – e.g. calming music when people are agitated and distressed? 4. Will the same music have similar effects on successive occasions? During our pilot studies in 2016/17 we created playlists for 8 volunteers, basing them on popular music from their youth (14-24 years old) and musical tastes, such as favourite genres. When playing back to them, parts of the songs we had chosen, we observed a myriad of responses – from smiling, tapping hands or feet to singing along. But the positive effect went even beyond that – it affected the family members who were present in the room, who saw their loved one engaging and interacting again through music. We are now working on conducting some of this research. We aim to go beyond simply these observational reactions to look deeper into what are the factors that influence positive effects, how long do these last and does different type of music solicit different reactions. Parallel to this process, we are creating and testing the best tool to use to create and deliver the playlists and you can read more about the steps we are taking to develop this product here. Sign up for newsletter updates here to be the first to know about our research progress. Music for my Mind is hiring!